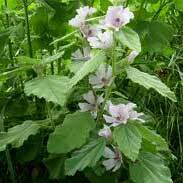 The roots of Marshmallow, a plant that gets its name from its liking to grow in marshy, watery soil. Everything about marshmallow is the opposite of dry or brittle, it is marvellously soft, moist and pliable. 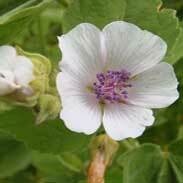 The uses of Marshmallow have been carefully described in European herbal literature for over 2000 years. Its soothing and healing effects have been an integral part of treatment for conditions such as gastritis, peptic ulcers, gastro-oesophageal reflux, hiatal hernias, cystitis, renal colic from kidney stones, painful coughs and bronchial spasm and tension. The Roman physician Pliny loved Marshmallow and wrote that 'whosoever shall take a spoonful of the mallows shall that day be free of diseases'. Early Arab physicians used Marshmallow poultices to treat inflammations and early European doctors used Marshmallow internally and externally for its soothing action in treating toothache, sore throats, digestive upsets and urinary irritations. Poultices or ointments of Marshmallow have been applied externally to new open wounds as well as over boils, abscesses, ulcers and old wounds to draw unwanted matter to the surface to be expelled from the body. 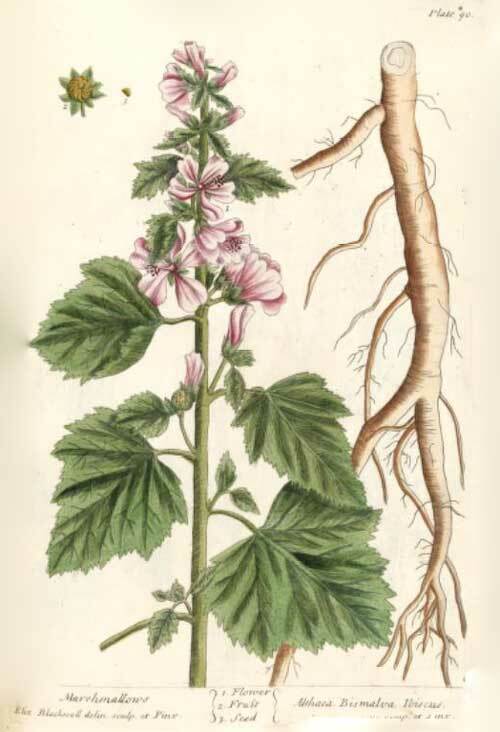 The British Herbal Pharmacopoeia (BHP) describes the actions of Marshmallow root as 'demulcent, diuretic, emollient & vulnerary'. 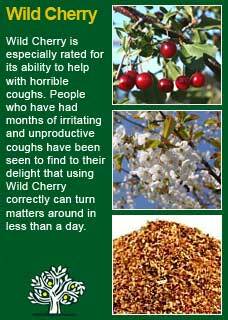 It says it is indicated for 'gastritis, gastric or peptic ulceration, enteritis, inflammation of the mouth or pharynx, respiratory catarrh with irritating cough, cystitis. Locally for varicose or thrombotic ulcers. 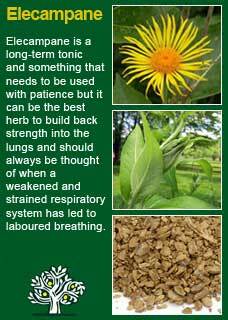 The BHP suggests combining it with Licorice, White Horehound and/or Lobelia for cough. 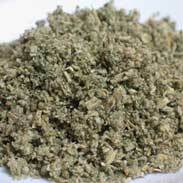 Used with Slippery Elm as a poultice of ointment for inflammation and crural ulcers (of the leg). 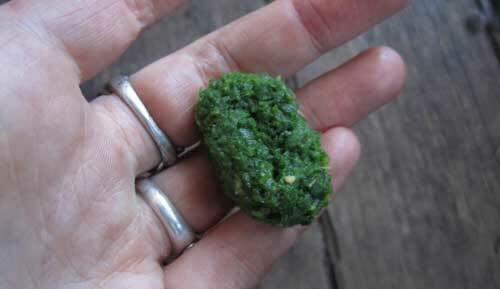 The BHP recommends a dose of 2-5 grams or by cold extraction. The extract in 25% ethanol at 2-5mls. The syrup in a dose of 2-10mls. No adverse effects are expected (or have ever been reported) from taking Marshmallow in tea or tincture, even in high or frequent doses. It may be confidently taken during pregnancy or whilst breastfeeding and used by the young or old with safety. The only time there may be a need for caution with Marshmallow is when the person is using certain types of drugs. Some research suggests that taking Marshmallow might decrease the need for hypoglycemic drugs e.g. glimepiride (Amaryl), glyburide (DiaBeta, Glynase PresTab, Micronase), insulin, pioglitazone (Actos), rosiglitazone (Avandia) so it would be wise to be checking blood sugar levels whilst using the herb and, I suppose it should go without saying that if they go too low then I would suggesting using less of the drugs, not the herb! There are also theoretical concerns that the mucilage in Marshmallow, and the way it provides a coating over the gastric lining, might impair the absorption of certain drugs. There are no reports of adverse reactions in this regard but, if the drug is known to be particularly dose-sensitive and its effects are much needed, then it may be wise to take any high doses of Marshmallow an least an hour or more apart. I like the surprise on my young patient's faces when I tell them I am going to put some Marshmallow extract into their medicine. I suppose they must think I am putting lollies in it and I guess it won't hurt them to have a little positive expectation and as the tincture that we make from dried Marshmallow root in our clinic is really quite remarkably sweet and syrupy they're not far wrong! 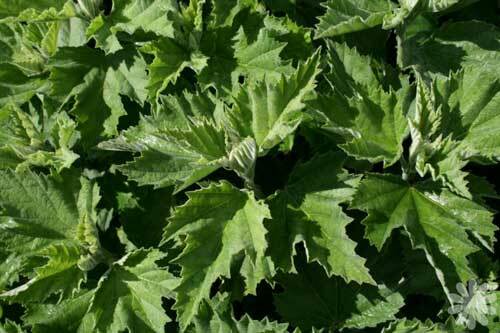 If you who are reading this are studying herbal medicine or if you just have your own reasons to want to know this plant ally at a much deeper level then I warmly recommend you obtain and take some Marshmallow medicine by just putting a tsp or two of the root in some cold water for a few hours to get a certain introduction to it! Alternately you can do the same experiment with a tsp of its tincture. In either case take a good dose of Marshmallow and then, with a quiet and attentive mind, observe for yourself and see how it makes you feel and what your body makes of its 'action'. 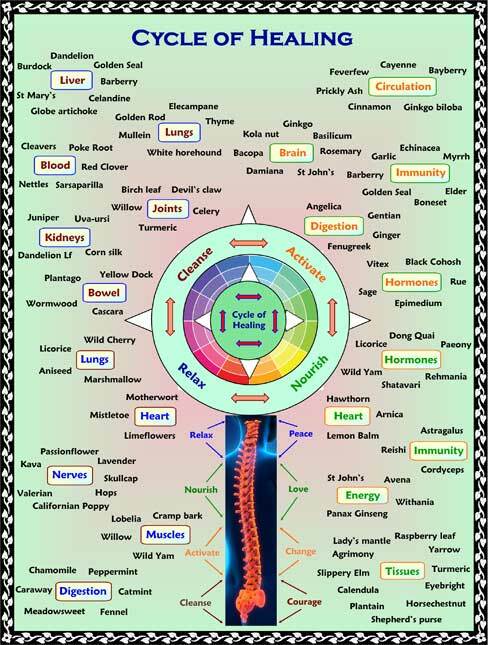 I would predict that if you have some inflammation or irritation in your body in the present, then you may find it to be a most welcome visitor! Aside from its direct actions on sore, infected or inflamed tissues Marshmallow can also be used as a constitutional medicine for people who have too much ‘dryness’. I will often include some Marshmallow when I think a person's constitutional balance has gone too far to the 'dry'. This might show up as a dry skin or tongue or sometimes the dryness is present in the symptoms themselves, a cough that has no practical use, broken or cracked skin, signs for a 'leaky gut' where there are cracks and micro-tears in the digestive tract. With patient use over days if not weeks it can be seen that Marshmallow has an uncanny ability to bring ‘moisture’ back into such dry conditions. In terms of how I personally use it I do favour the pleasant and potent tincture we make at 1:8 plant to 25% ethanol/ water that we then add 20% Glycerine after pressing. In terms of dose this can be taken quite freely as required, a tsp up to 5 or 6 times a day will not cause any harm if there is an acute need. Knowing that heat will damage the healing constituents in the Marshmallow another excellent way to harness its benefits is to place a few tsps of the cut root into a cup of cold water and allow it to steep for a few hours until the water has extracted the 'softness' of the herb (or to go to a super-strong level fill about 1/5 of a jar with the root then cover with water and seal overnight). The resulting ‘tea’ in either case is remarkably slippery and not something people might easily be able to drink without some practice but if a condition is critically dry then this can be a particularly effective and economic method. 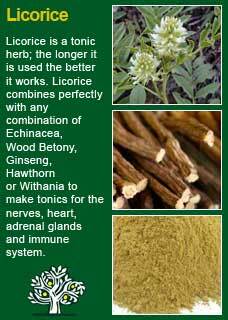 Marshmallow combines perfectly with Licorice for any kind of dry or depleted condition, with Elecampane for weak lungs and old coughs and with Wild Cherry for dry and exhausting coughs. I use a lot of Marshmallow extract in creams that we make ourselves for people with dry or damaged skin but if the skin is badly damaged or open you can also get great healing from using a Marshmallow poultice. Poultices are made by mashing the herb and soaking it in enough water to moisten the herb into a pliable 'putty'. You then place the whole product, herb and water combined, on to a cloth which is then placed directly over the affected wound or skin problem and then you cover that further with a towel or cloth to hold everything in place. This may be left on as long as necessary, even overnight if it can be bandaged in place. I highly recommend using some 'glad-wrap' (cling film) to hold the poultice in place if you need to keep it on for a while. Much of the information here about the traditional uses of Marshmallow is consistent with the model of thinking whereby one may treat problem A with plant B. There is value in this approach, especially in how it helps us pass on useful knowledge to one another, but it falls short in one vital area; and that is that people are not all cut from the same cloth! Something that works brilliantly for one person may do less for another -- why is this?